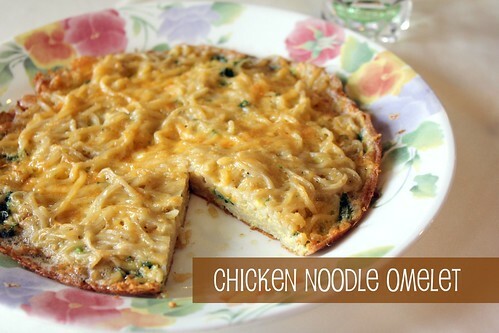 I just had to share the recipe I tried this time. Yes, yes, by now you're thinking that you don't want to eat some food for kids, but let me tell you that this is the perfect recipe for college students (and people of all ages, of course). Why? 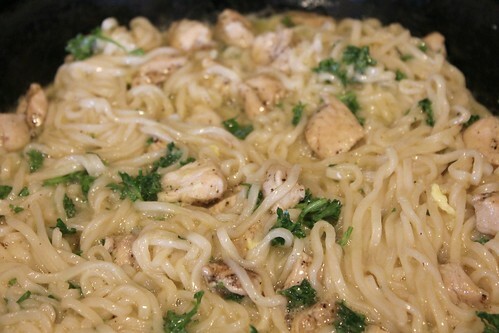 This recipe has one ingredient that is a must in almost every college student's menu: ramen. Told you. 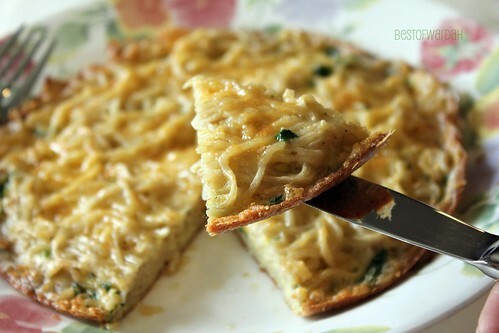 So wipe that doubtful look off your face and read how to make this yummy breakfast food. Step 1: Cook the ramen as directed on the package. Make sure to add the flavoring. Drain well. 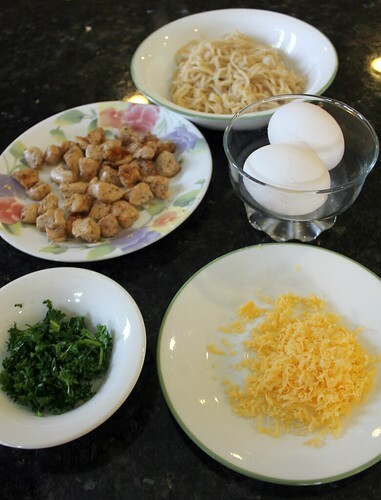 Step 2: Put the noodles, chicken, eggs, parsley, and pepper in a bowl. Mix well. Step 3: Put the mixture in an 8-inch nonstick ovenproof skillet. Cook for 5 minutes without stirring. Step 4: Sprinkle with the cheese. 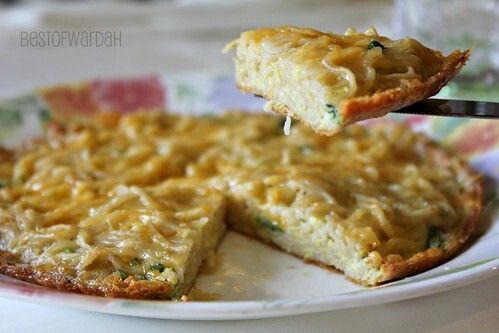 Put under a broiler for 2 minutes, or until the cheese is melted and slightly browned. Serve hot. 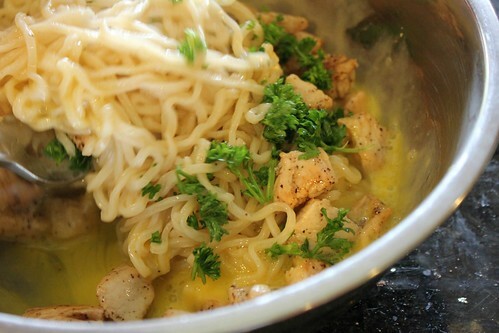 I guarantee that you'll love having this for breakfast. I recommend cooking the chicken the night before so you don't have to wait with your mouth watering the day of. Enjoy!